We collaborate with "Veranda Strawberry Farm", and our hydroponic grow system is developed based on their 3rd system. 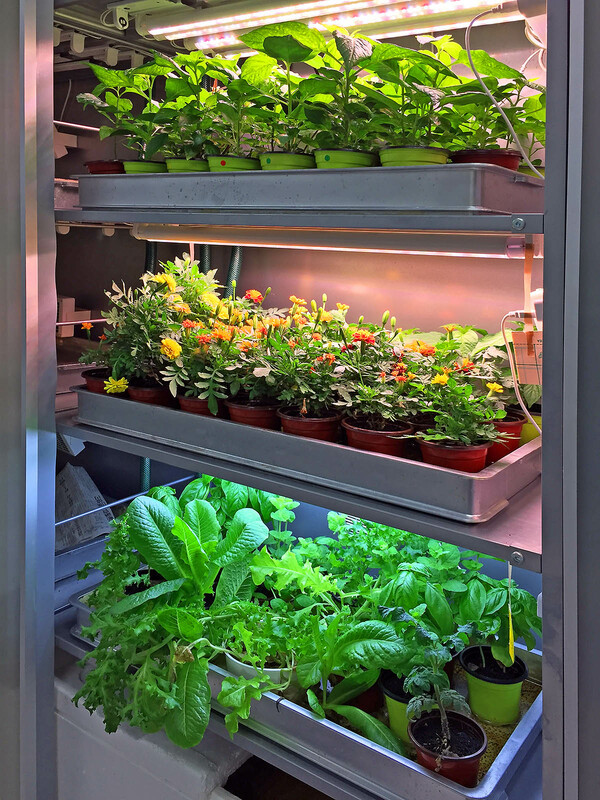 We developed compact hydroponic growing machines for a room or a balcony, and a raising seedling systems for nursery plants to put outdoor at the beginning of spring. 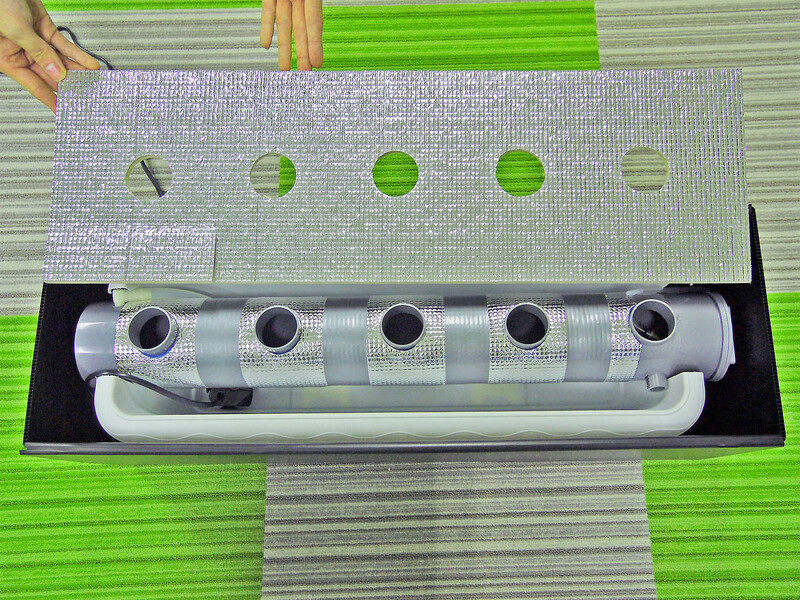 The machines adopt DFT (Deep Flow Technique) but not aerial technique, which stores and circulates water in a pipe. 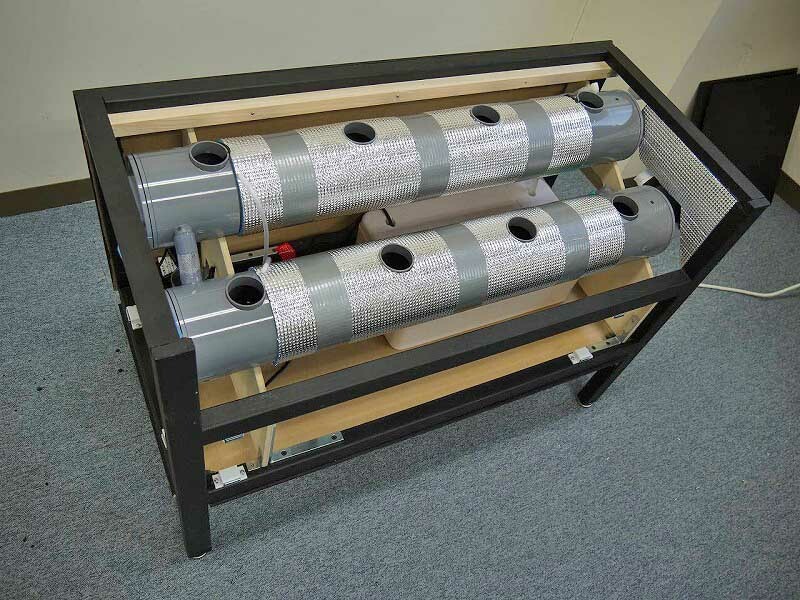 The machines also use an air pump to supply air to roots of plants. 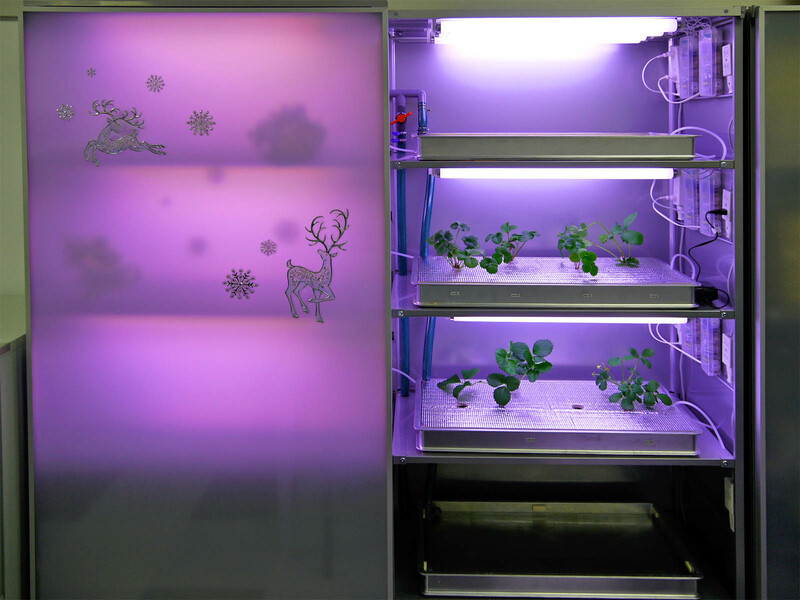 Collaborating with "Veranda Strawberry Farm", the test type system was developed by shrinking their 3rd machine. 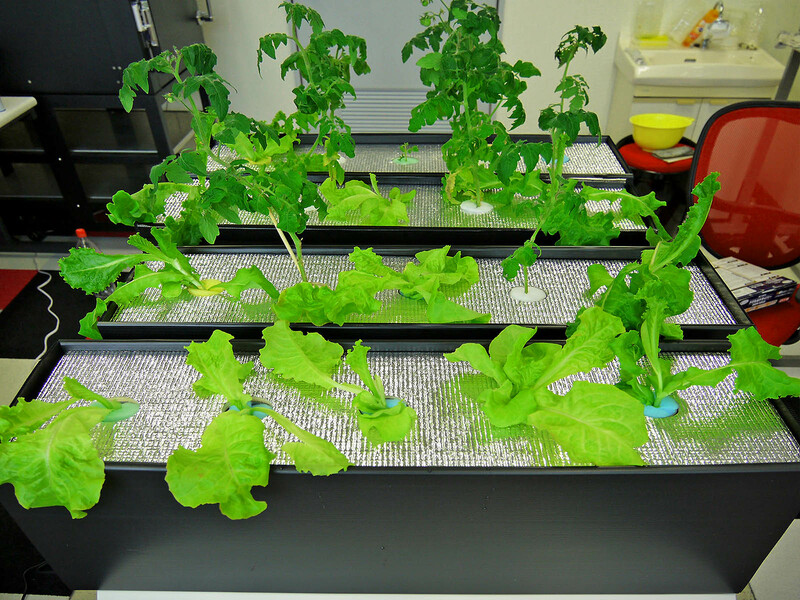 Strawberry and carry tomato are cultivated in this system. 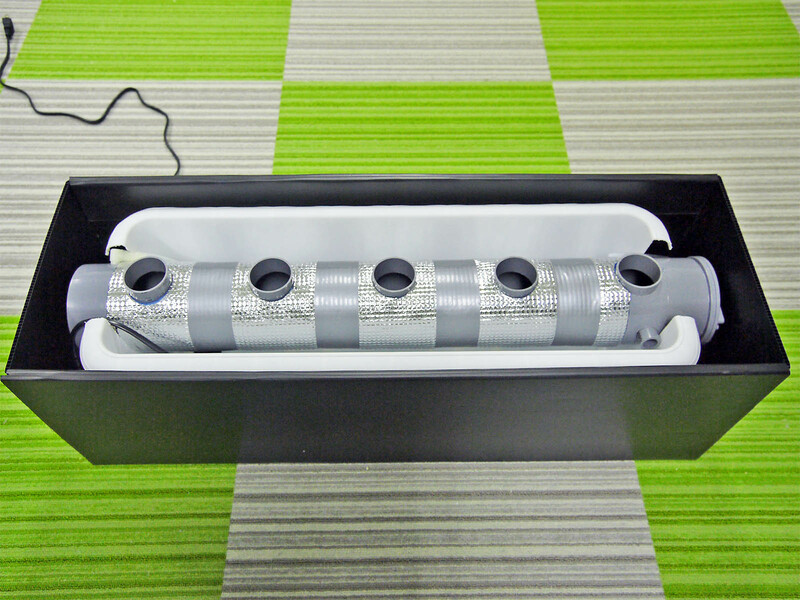 A desk top version with a single water pipe based on a structure of the test type. 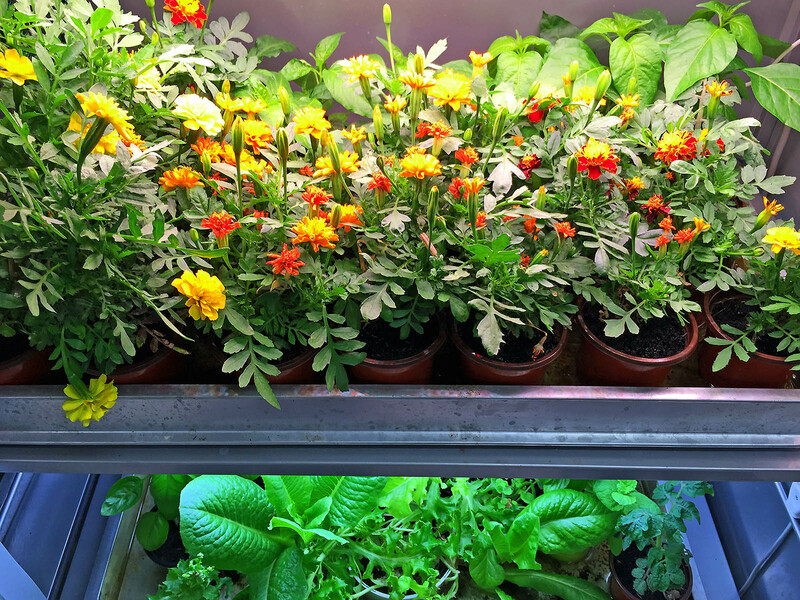 LEDs and fluorescent lamps for plant cultivation are used. 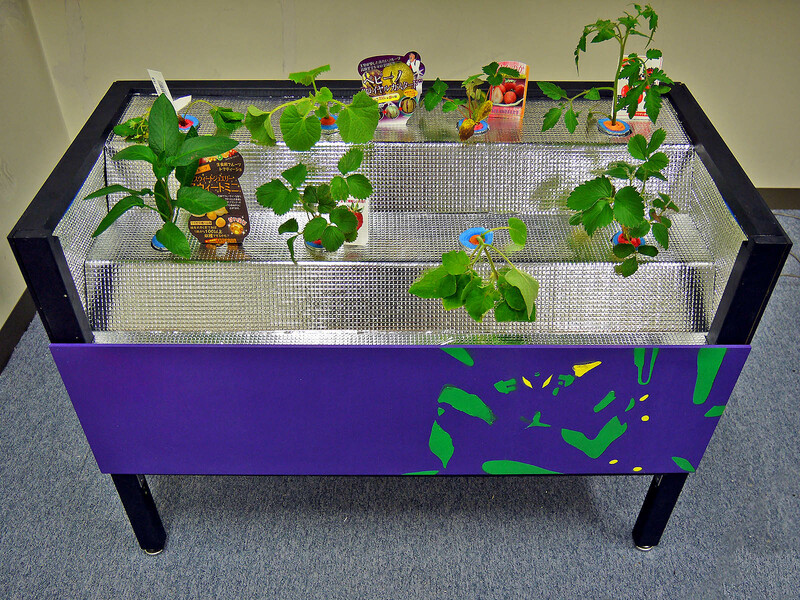 Flower pots filled with peat moss are also used in addition to DFT for raising seedling.